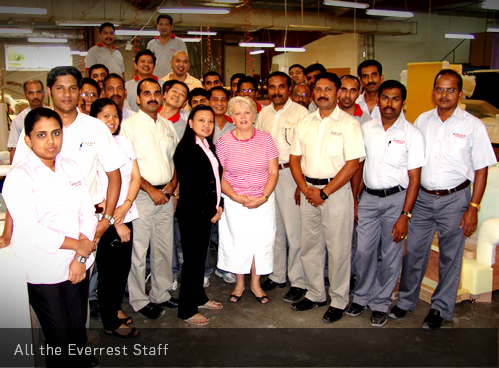 The Everest Furniture Factory has been operating in Dubai since 1995. It has steadily grown to become a successful company specializing in Various Home furnishing fields. Curtain and blinds fitting, sofa re-upholstery and manufacture, Canopy replacement and cushion Manufacture. Everest currently has over 40 staff in its Al Quoz factory and furnishes individual homes to large hotels in Dubai, Abu Dhabi and the UAE. Our Staff have many years experience in the industry and some have previously worked at Apollo Furniture. Everest offers an impressive selection of curtain fabrics to choose from with thousands of different colours and styles available. Visit our factory in Al Quoz, check out our feedback page or contact us and see for yourself…..